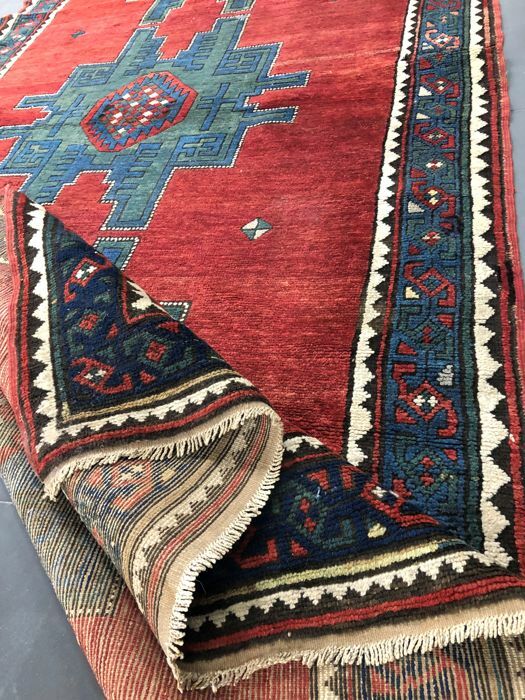 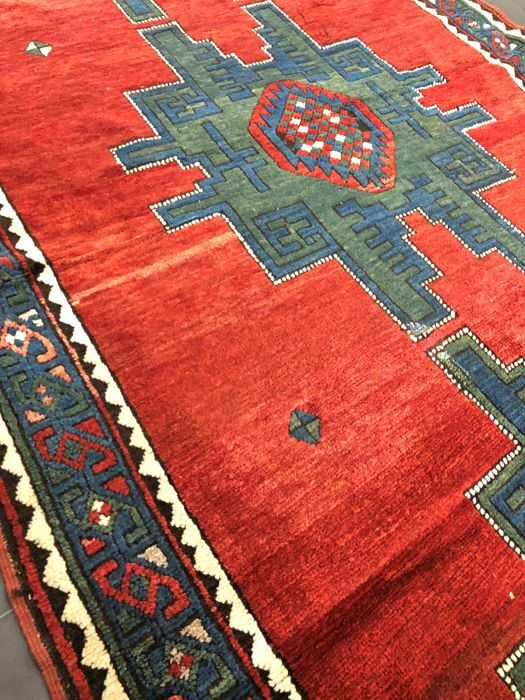 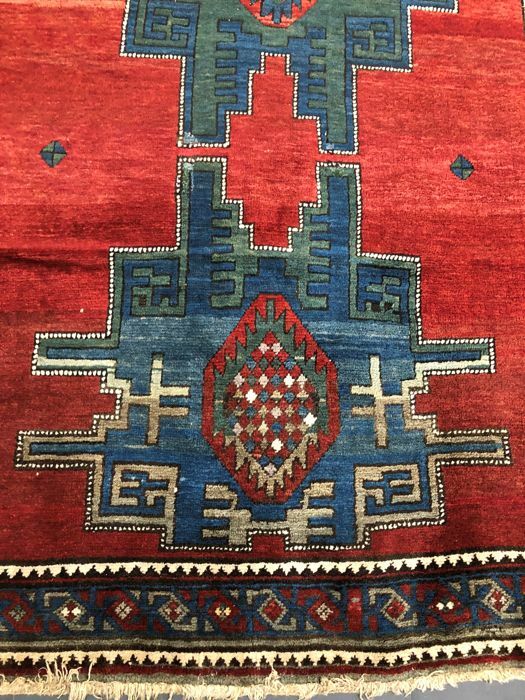 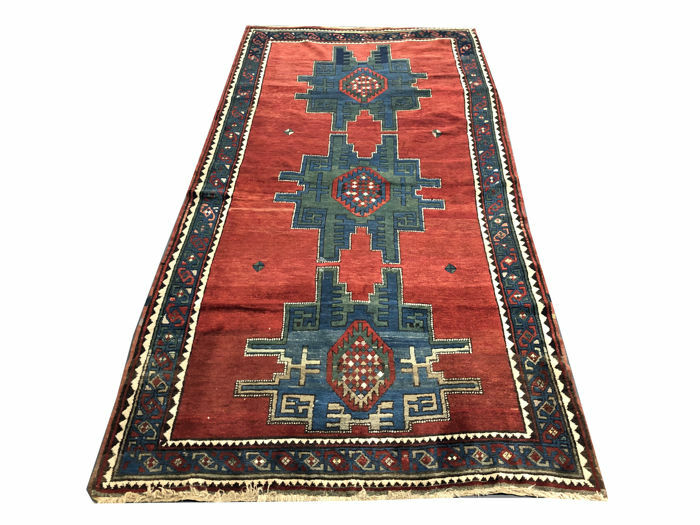 The term Kazak is commonly used for categorising a heterogeneous group of rugs coming from various areas of the Caucasus. 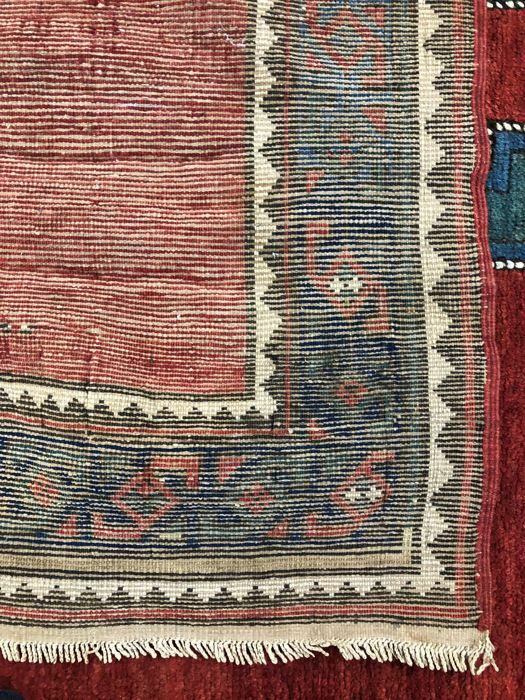 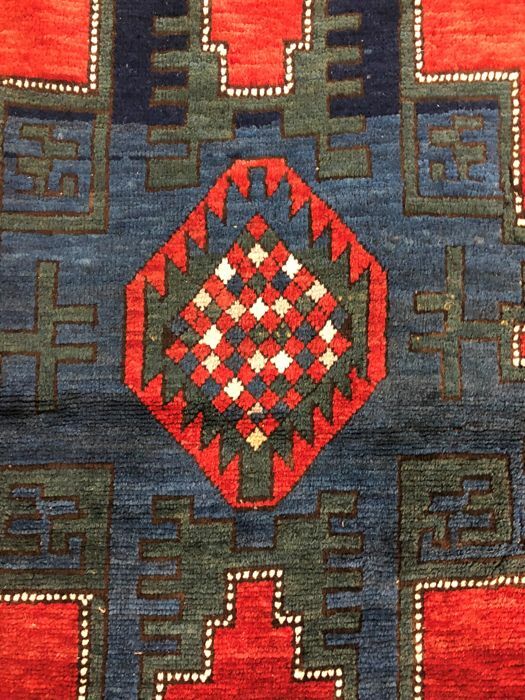 The 19th century Kazaks were entirely knotted in wool with a long and shiny pile, and large colourful geometric-type designs, varying according to the production area. 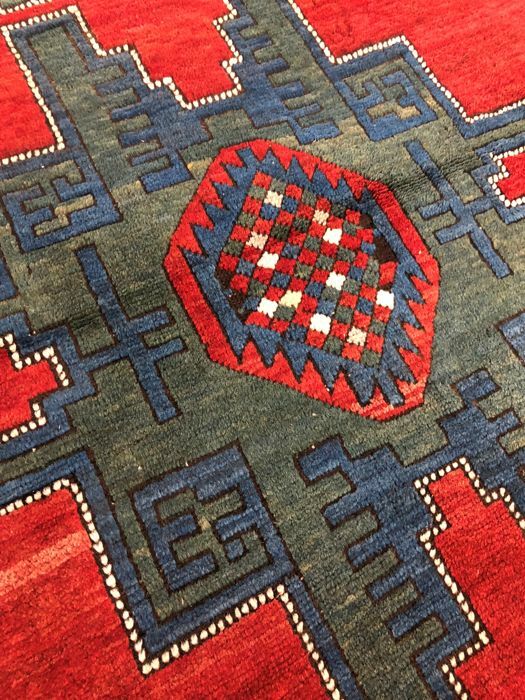 During the 20th century, the beauty of both the colours and the original whimsical designs was rediscovered; they are still made from memory by women who have transmitted this great tradition from mother to daughter over the centuries. 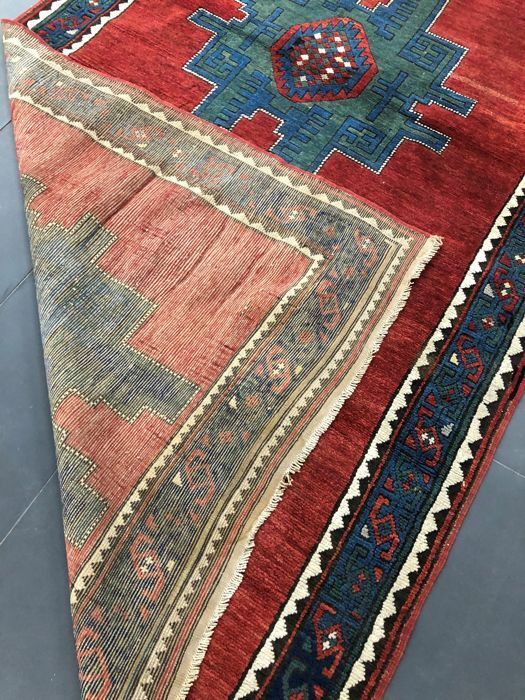 This is how Caucasian rugs began to be appreciated and consistently sought-after by enthusiasts and collectors, reaching outstanding prices and taking on a prime position in the panorama of oriental carpets. 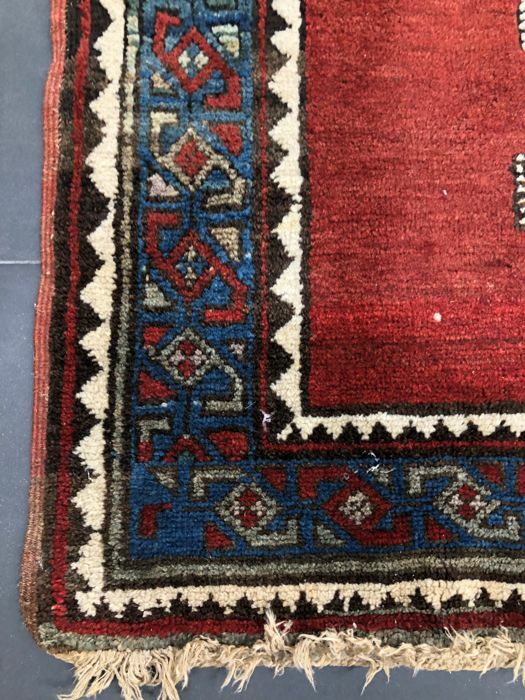 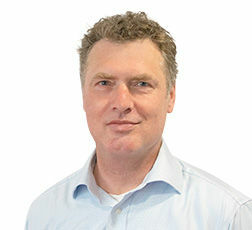 Puedes recoger este lote en persona: BRUXELLES (), Bélgica.